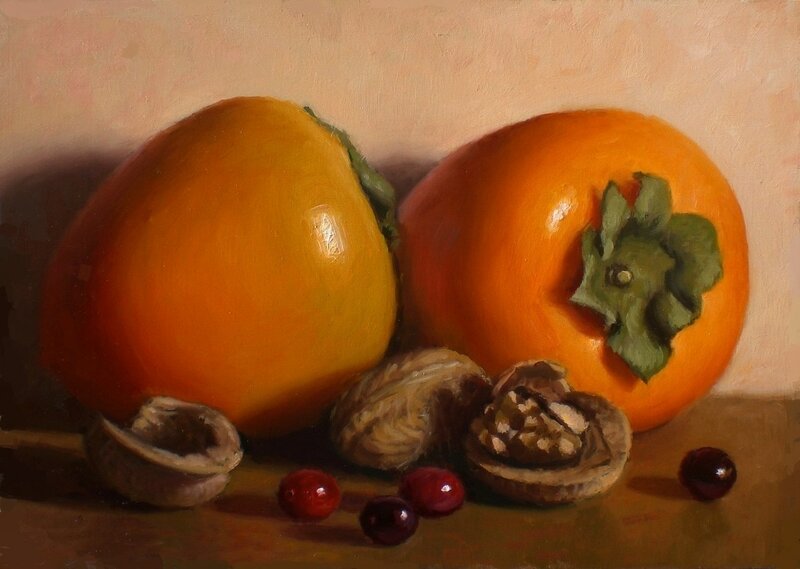 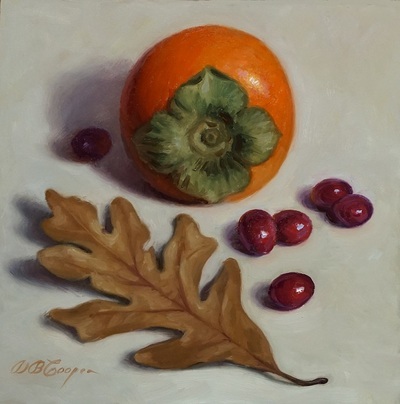 "Persimmon, Cranberries and Oak Leaf" 2015 6x6 in. 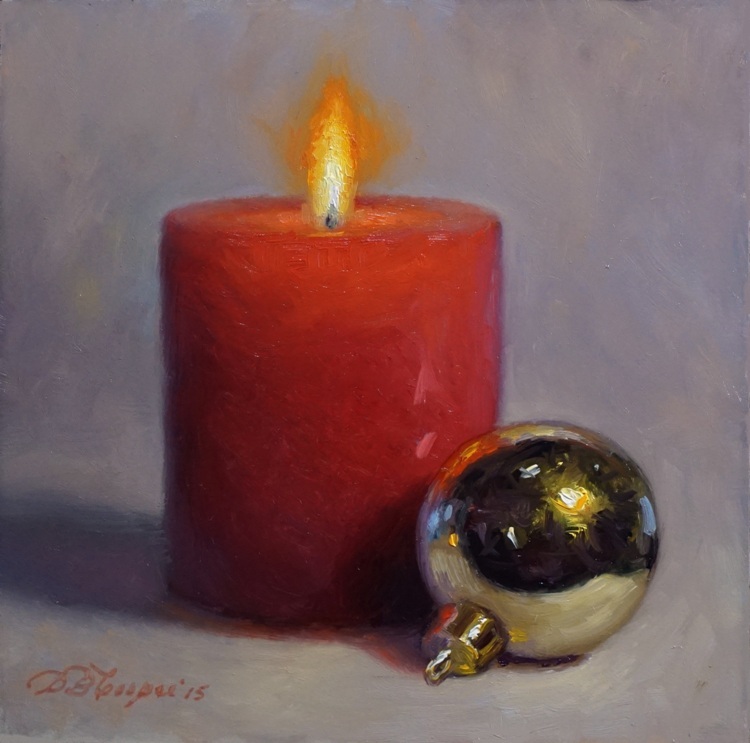 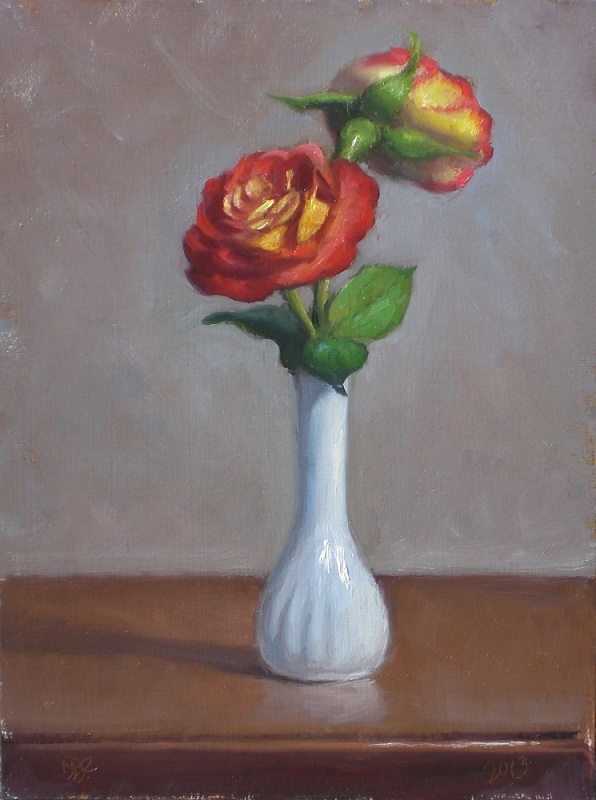 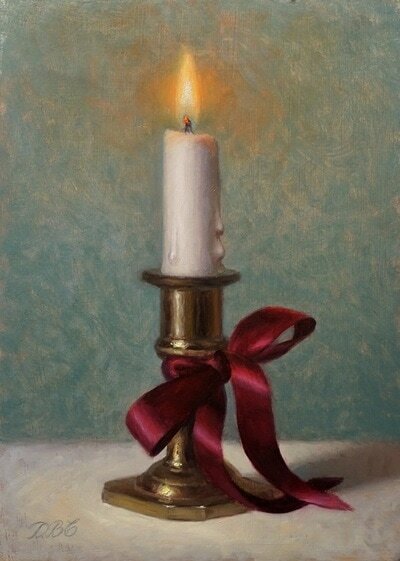 "Candle and Ornament" 2015 o/b 6x6 in. 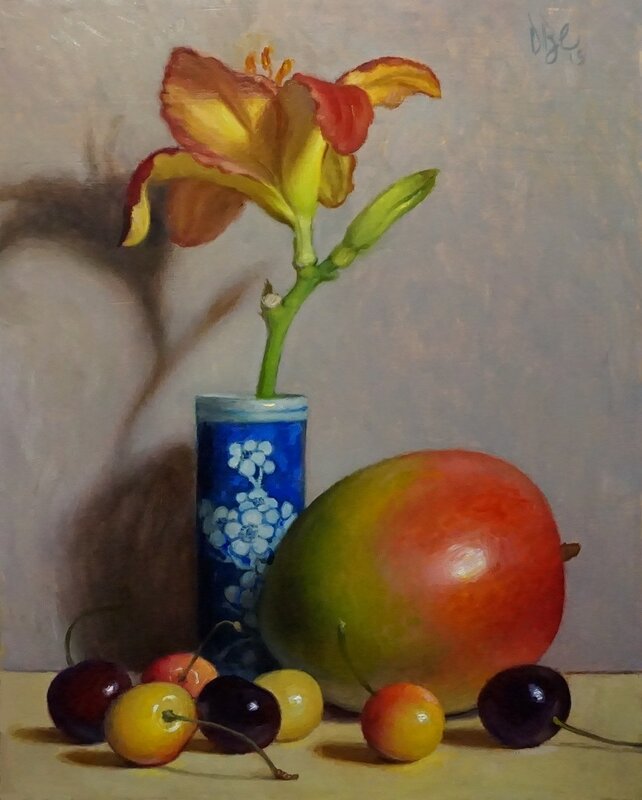 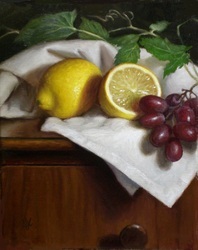 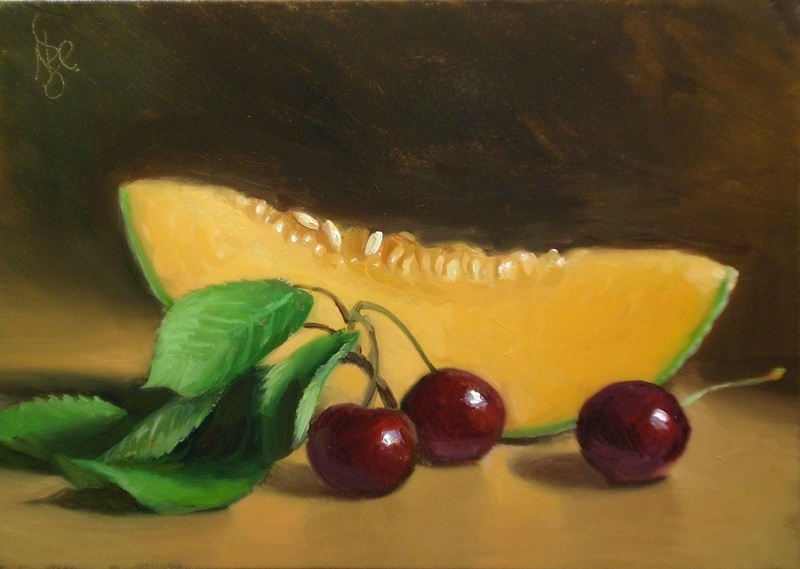 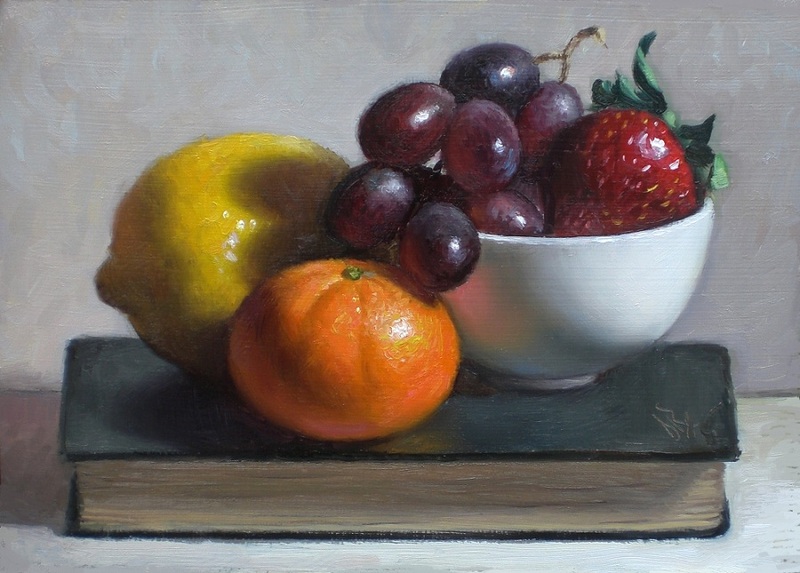 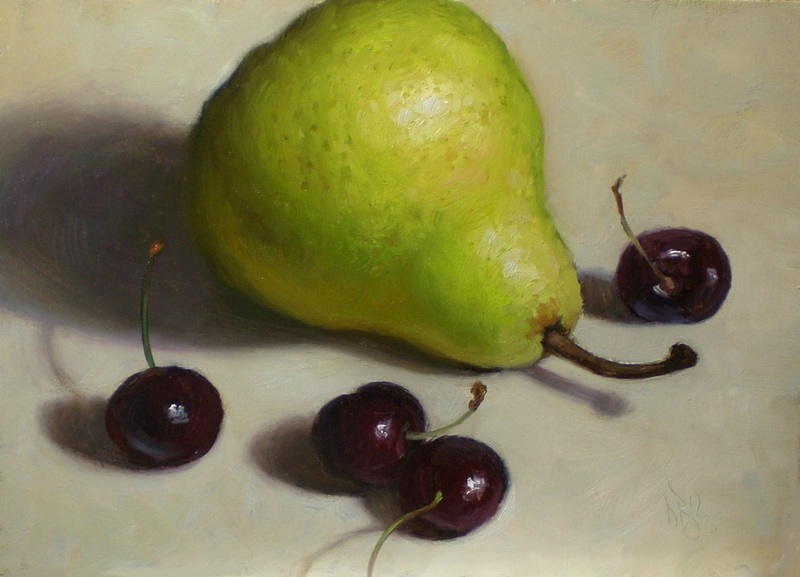 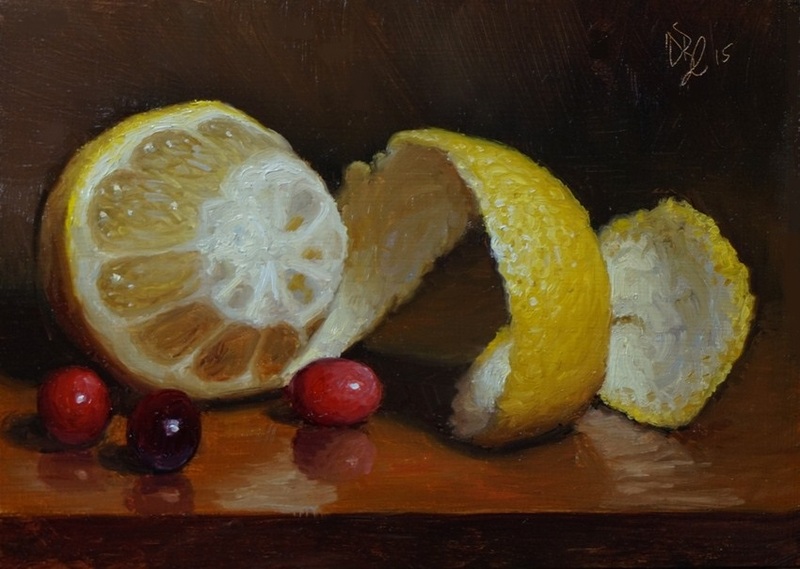 "Peeled Lemon and Cranberries" 2015 o/b 5x7 in. 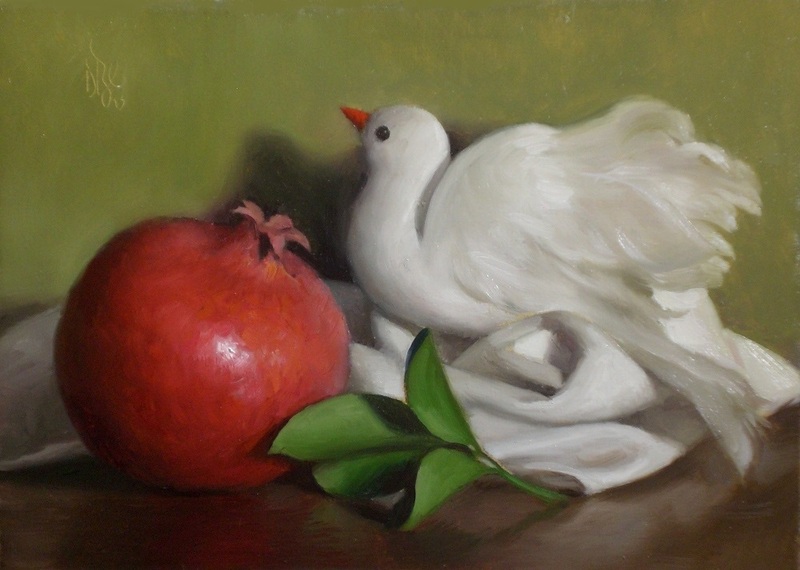 "Creamer with Persimmon and Pear" 2015 o/b 6x8 in. "Blue Bottle and Fruit" 2015 o/b 6x8 in. 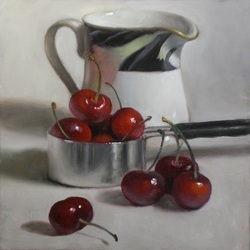 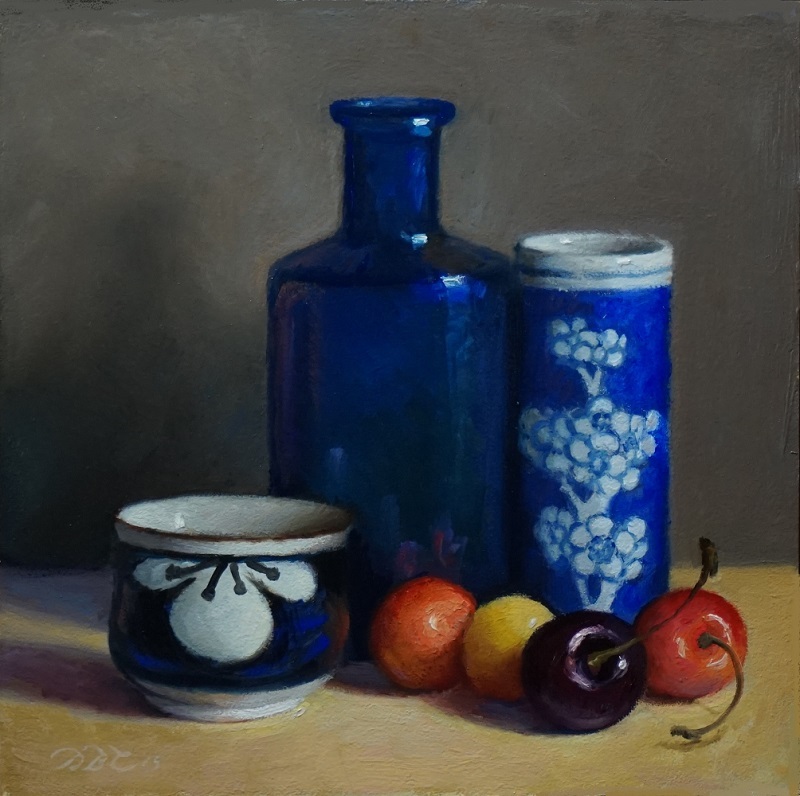 "Blue Vessels and Cherries" 2015 o/b 6x6 in. 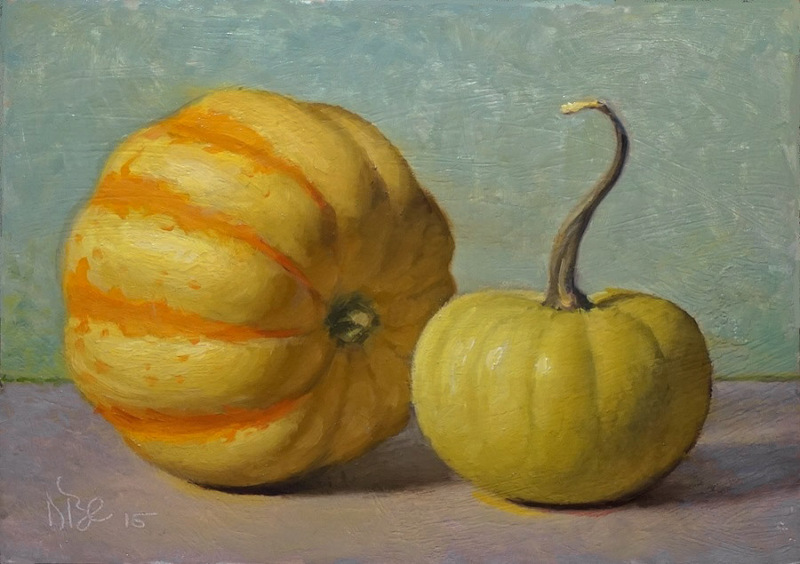 "Little Gourds" 2015 o/b 5x7 in. 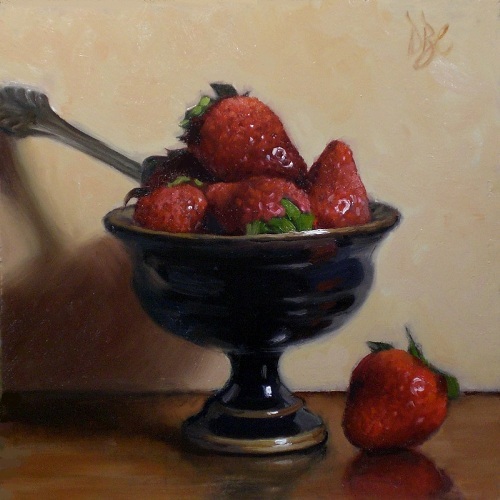 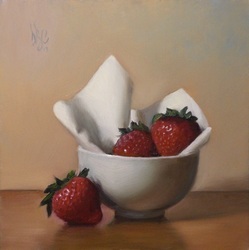 "Strawberries with Style" 2014 o/b 6x6"
"Tea and Lemon" 2015 o/b 6x6 in. 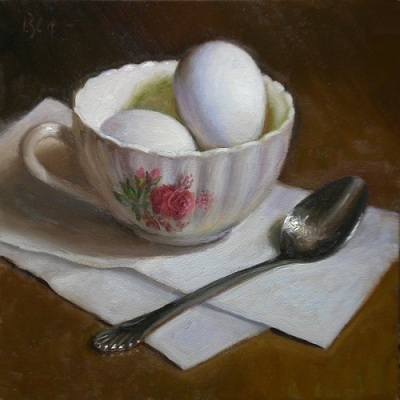 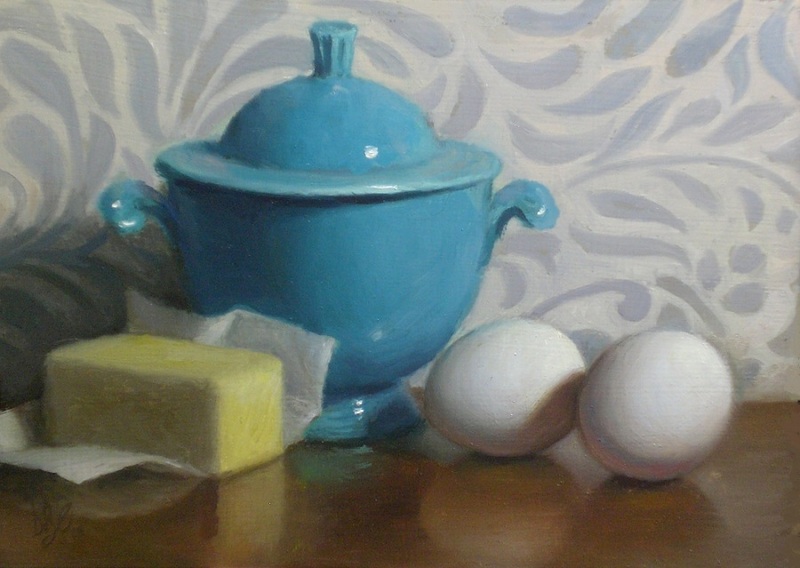 "Eggs, Cup and Spoon" 2014 o/b 5x7 in. 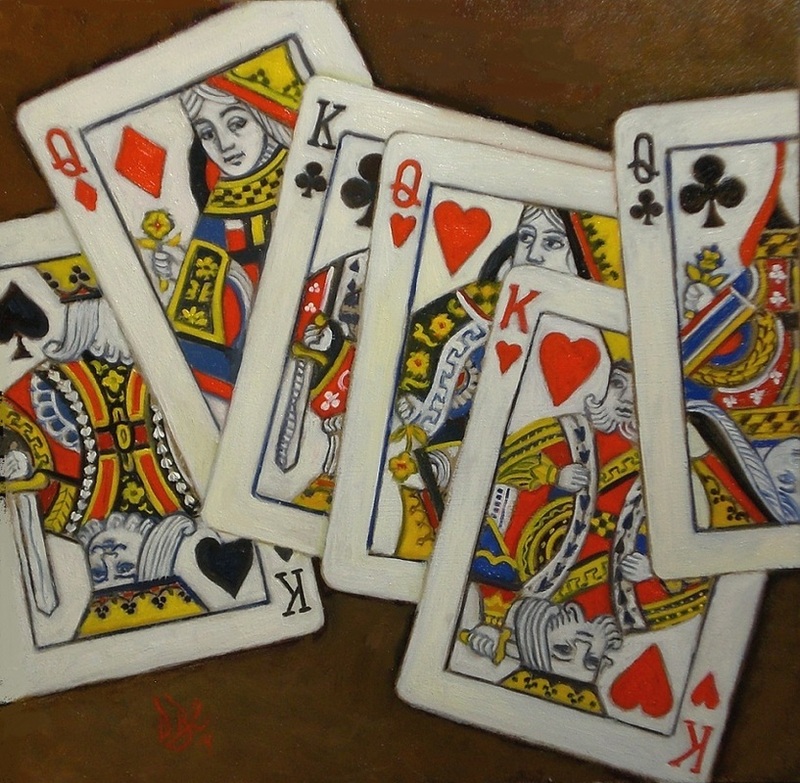 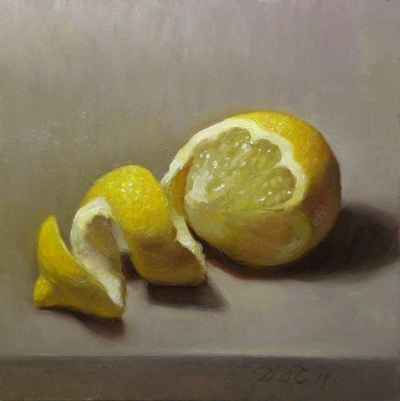 "Simply Lemony" 2014 o/b 6x6"
"Kings and Queens" 2014 o/b 6x6 in. 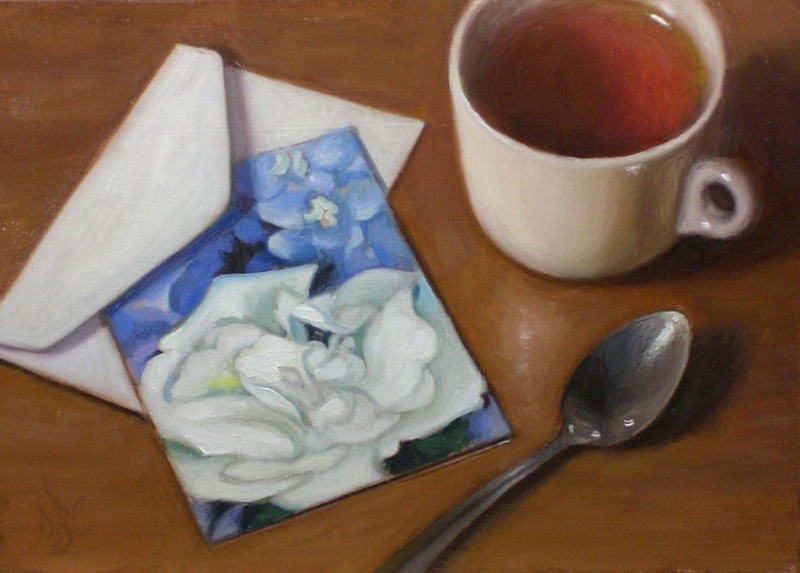 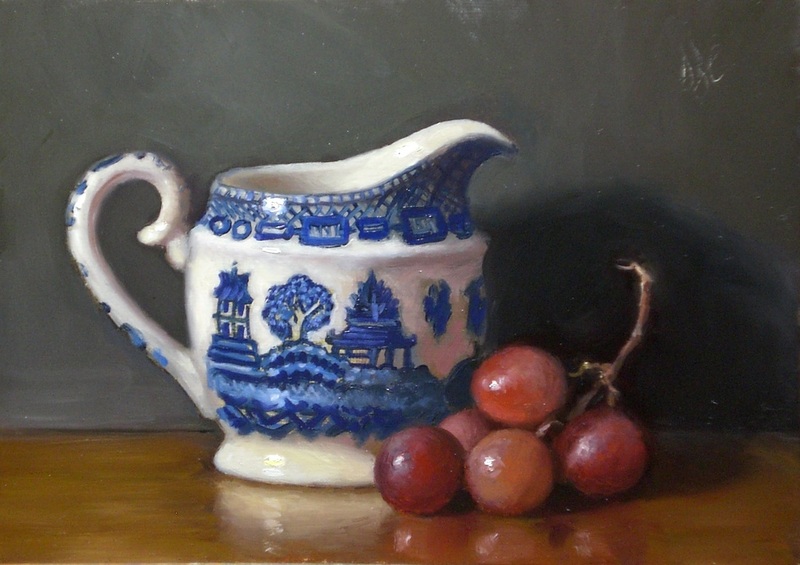 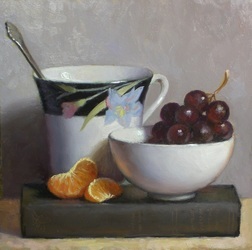 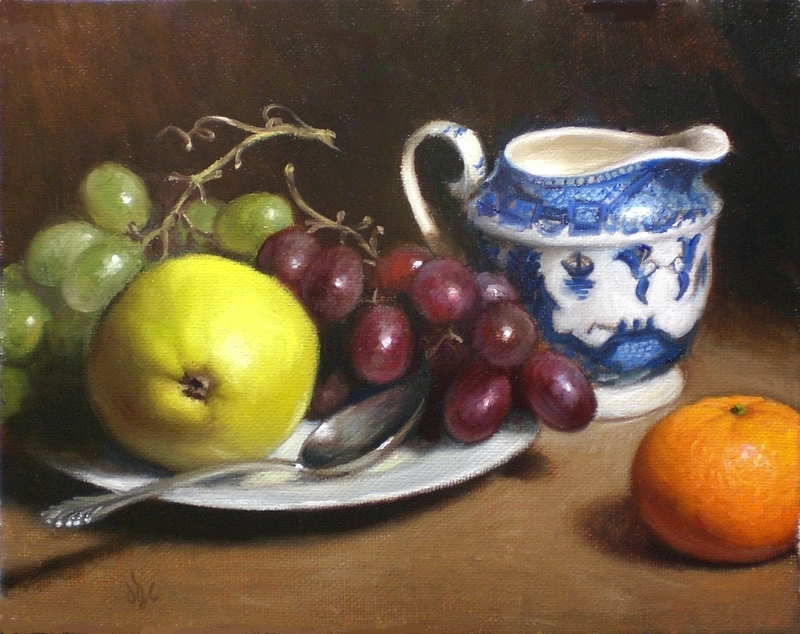 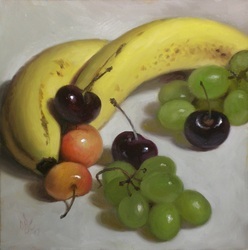 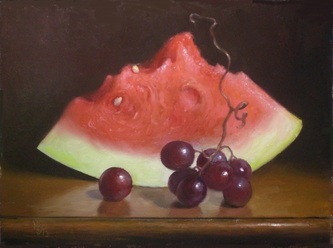 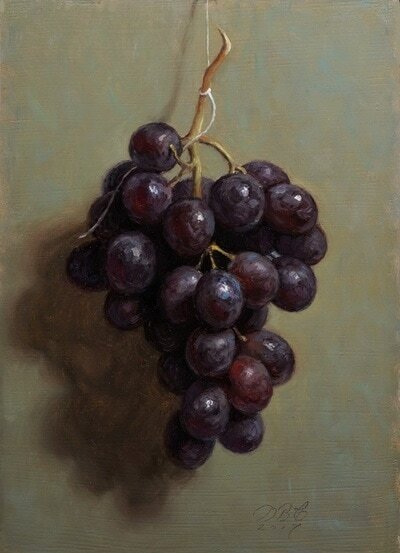 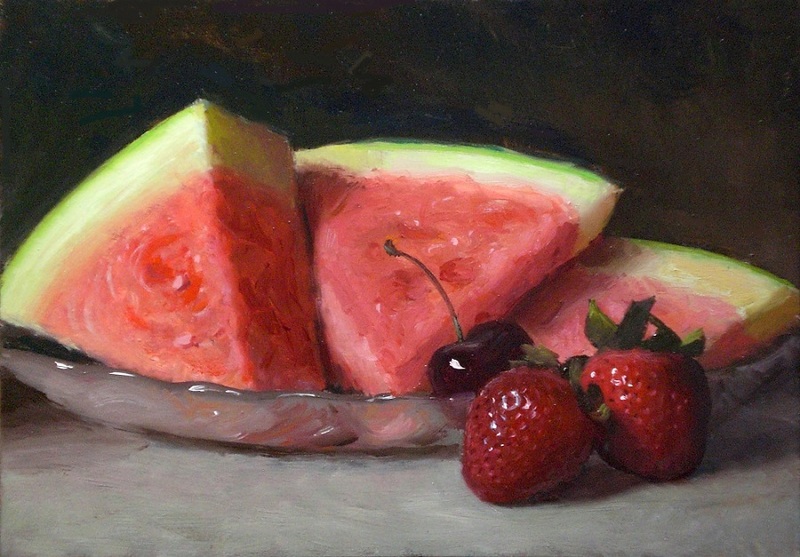 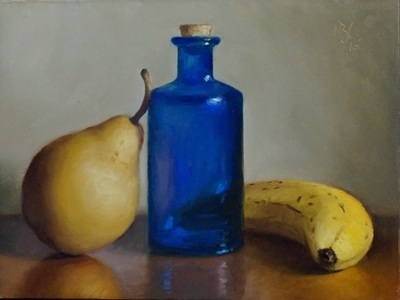 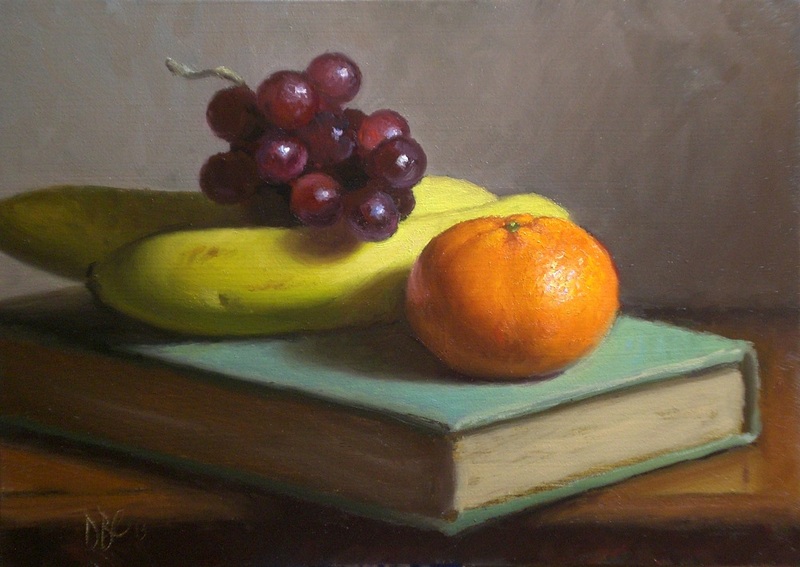 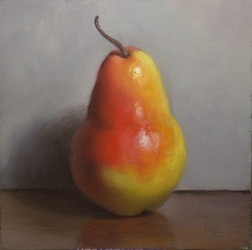 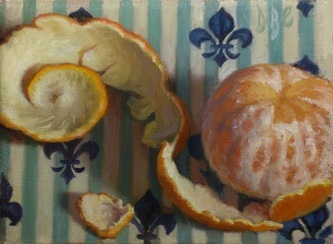 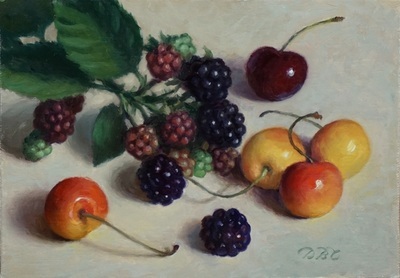 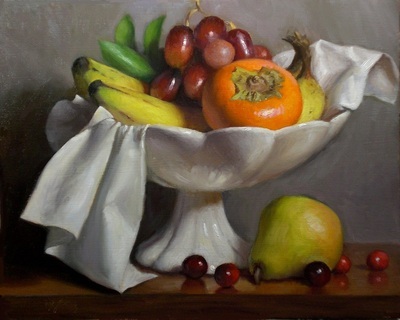 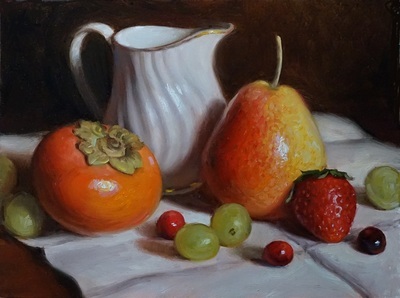 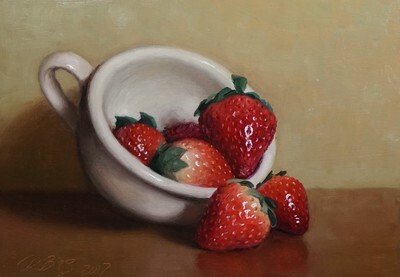 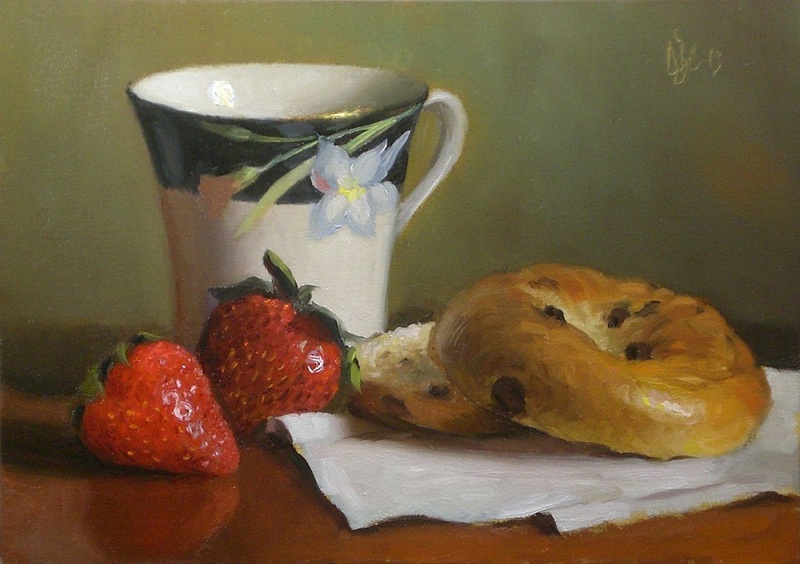 "Fruit with Blue Creamer" 2013 Oil on Canvas, 8x10 in. 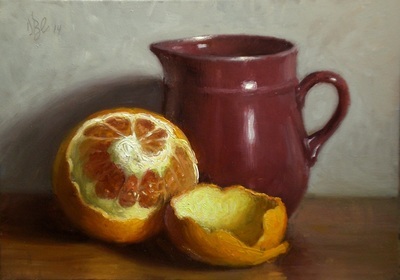 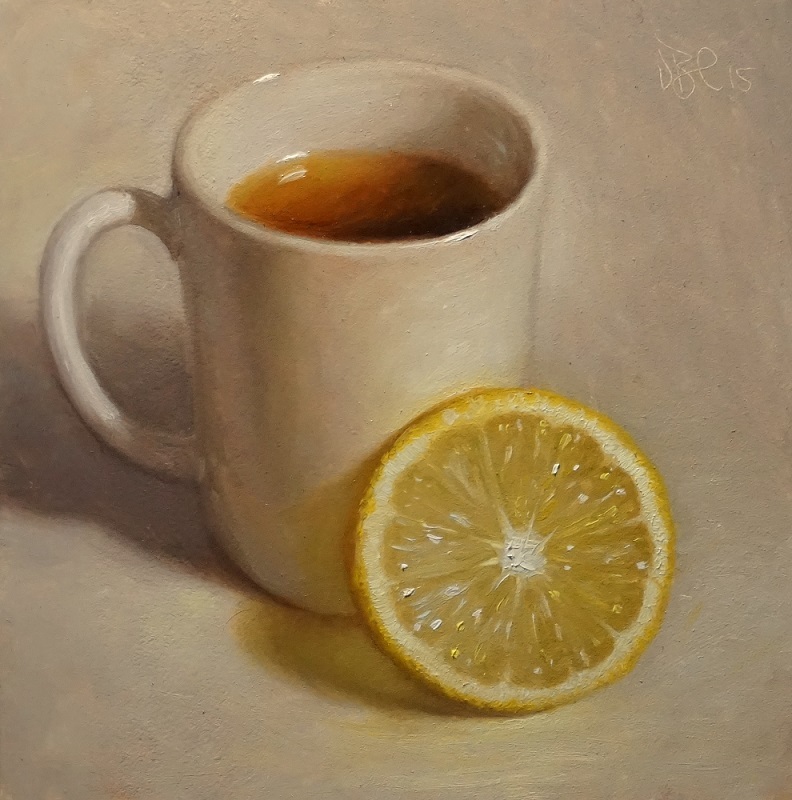 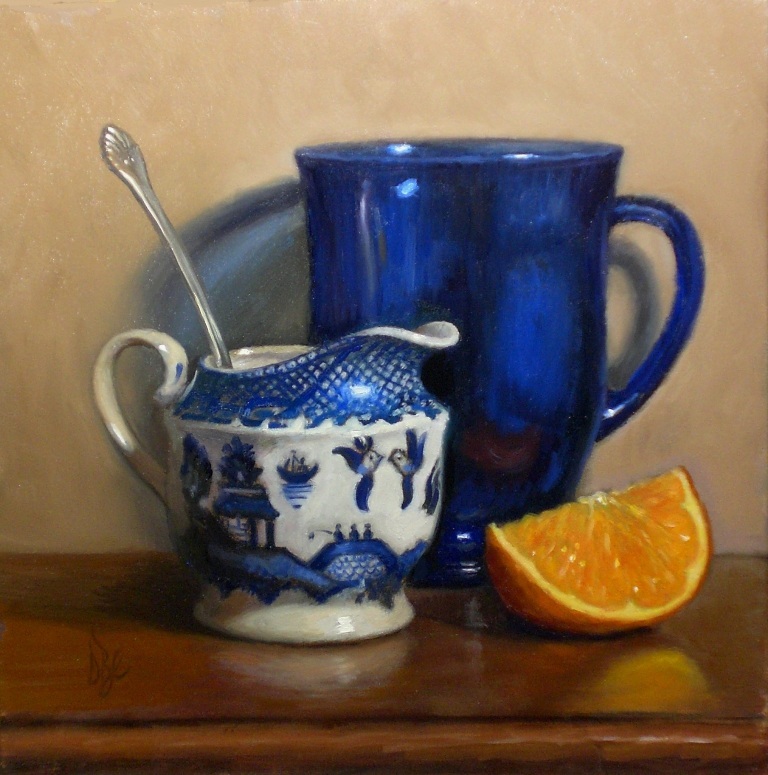 "Peeled Orange and Creamer" 2014 o/b 5x7 in. 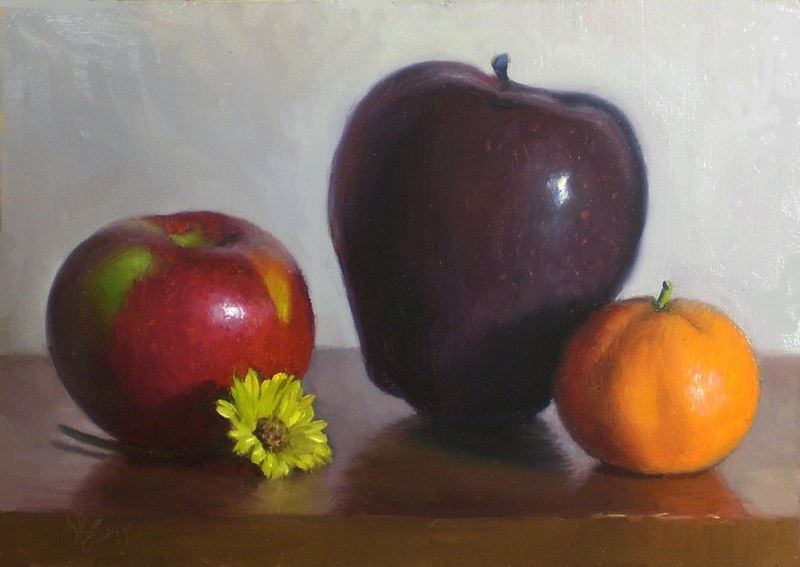 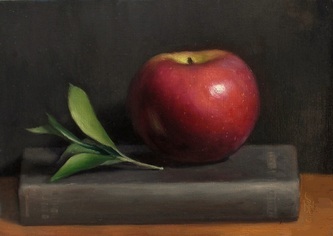 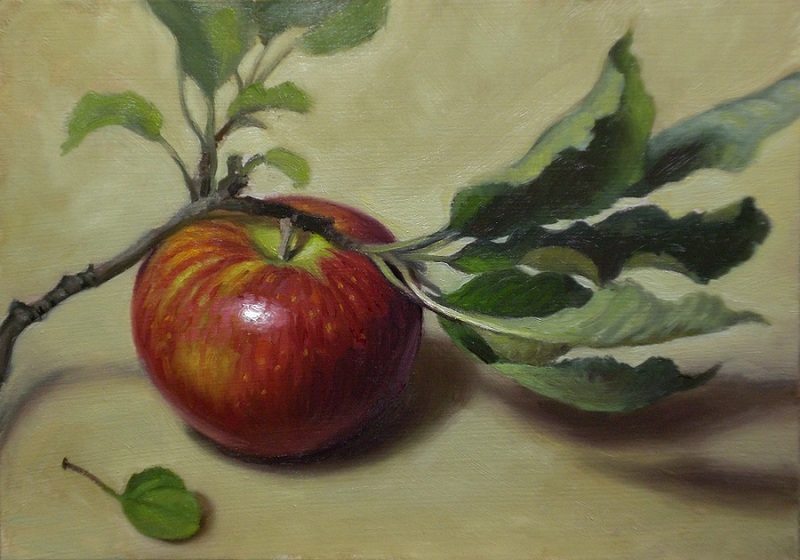 "October Apple" 2013 o/b 5x7 in. 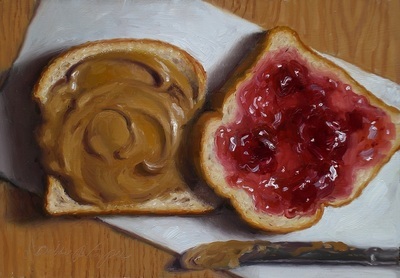 "PB and J" 2014 o/b 6x8 in.